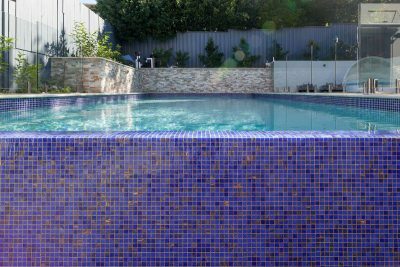 This breathtaking installation was designed and built by Richie – a masterpiece that has an abundance of luxurious features. 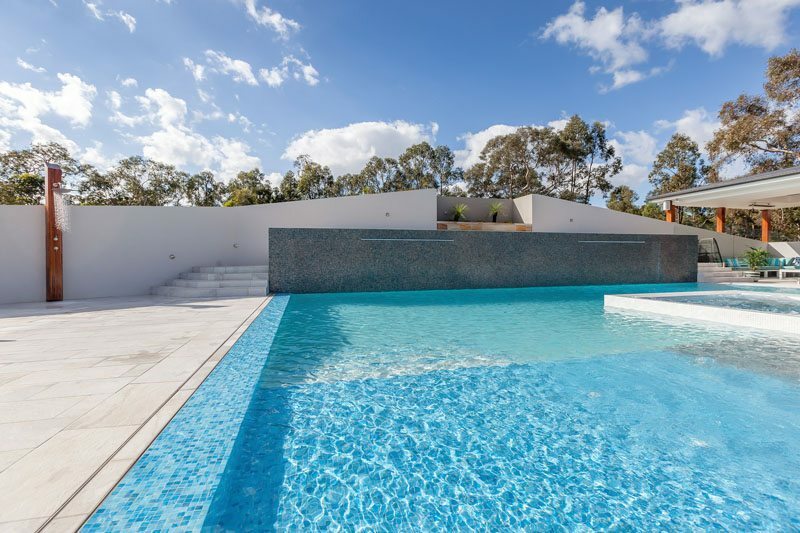 The pools interior was finished in sophisticated white-beach quartzon, and the eye is inextricably drawn to the raised spa and the infinity edge. 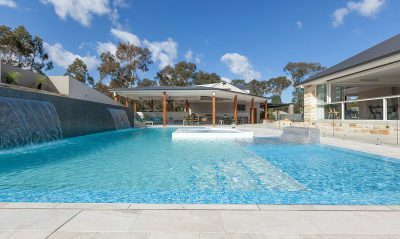 Richie customised the tiled love seat/ daybed creating for the owners a unique pool design that gives them not just functionality but a vision of luxury to enjoy from the extremely spacious alfresco area. 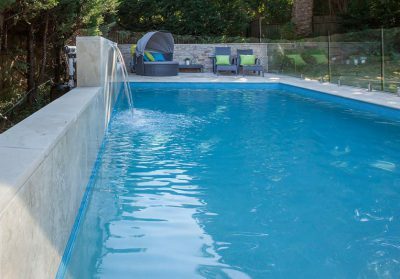 The coping is 300mm on this pool and spa combined design. 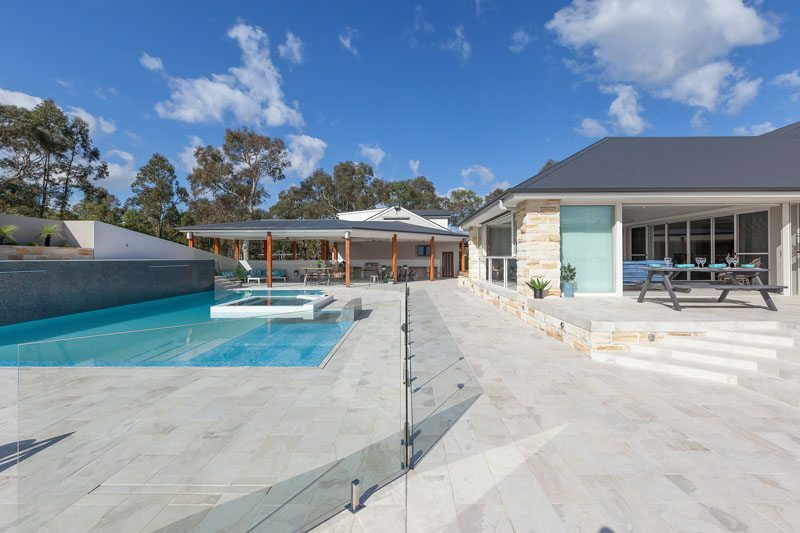 The surrounds include a featured wall with sheer descent waterfall blades. 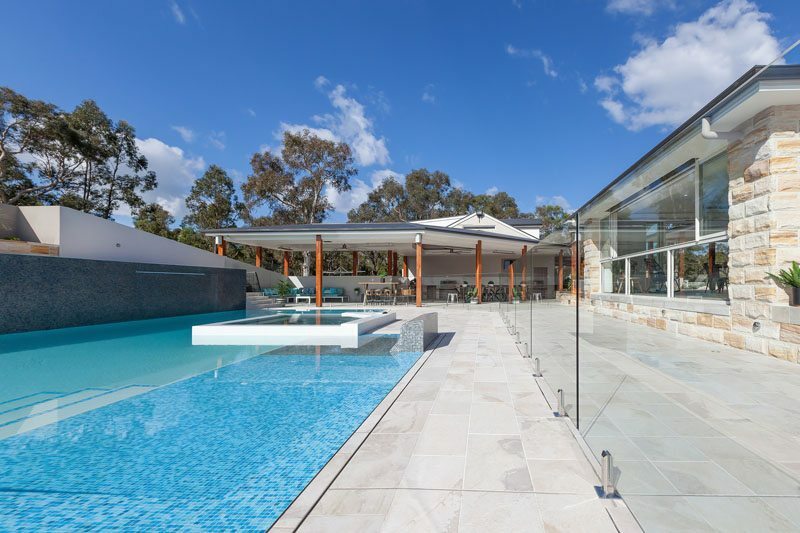 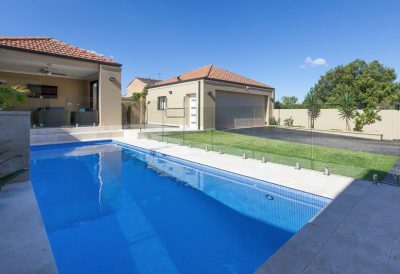 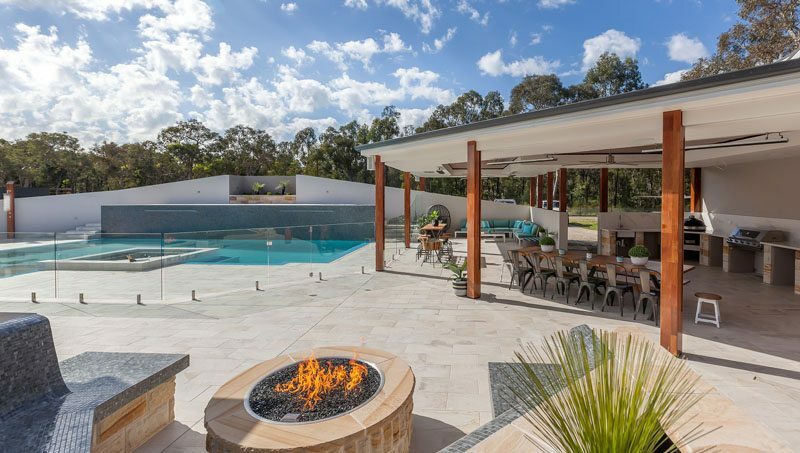 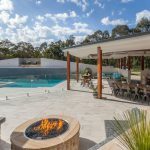 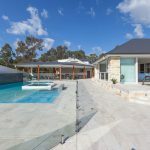 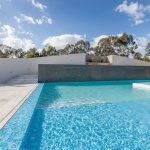 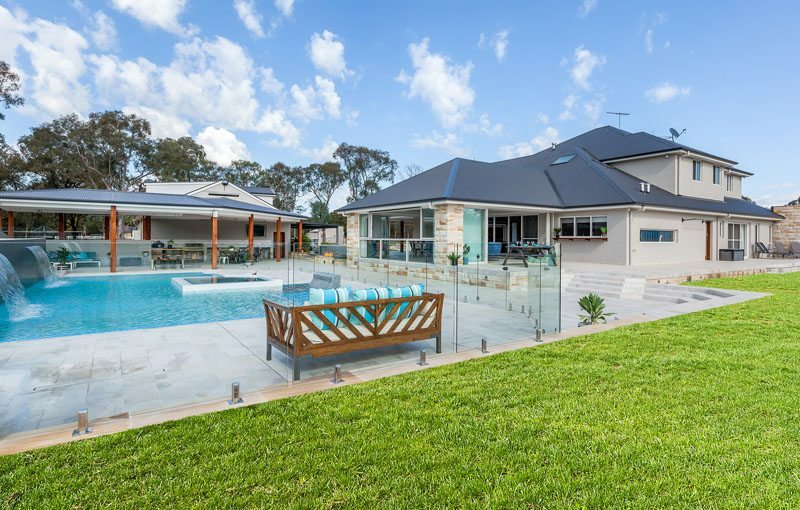 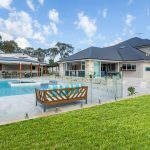 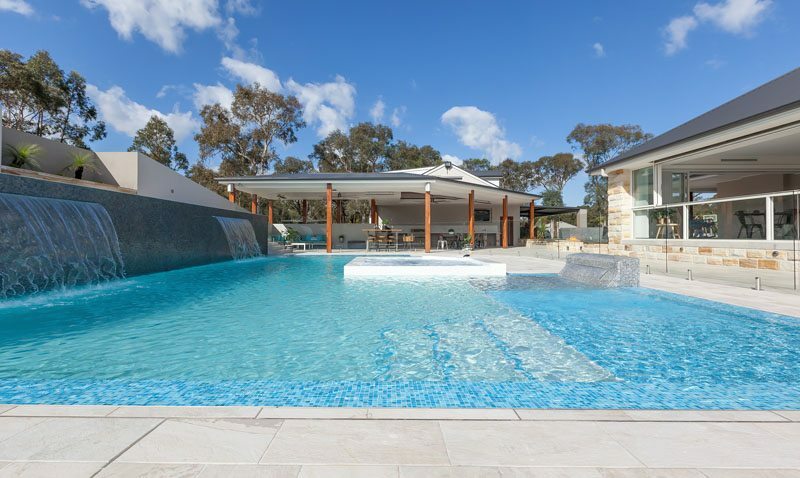 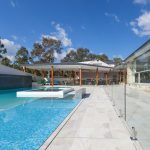 The clients opted for our Enviro-Smart MIneral Pool system and the ultimate in pool luxury: automated lighting and equipment controller (Viron 10 connect Wireless), control heating, lighting, pumps, jets, and cleaning system.